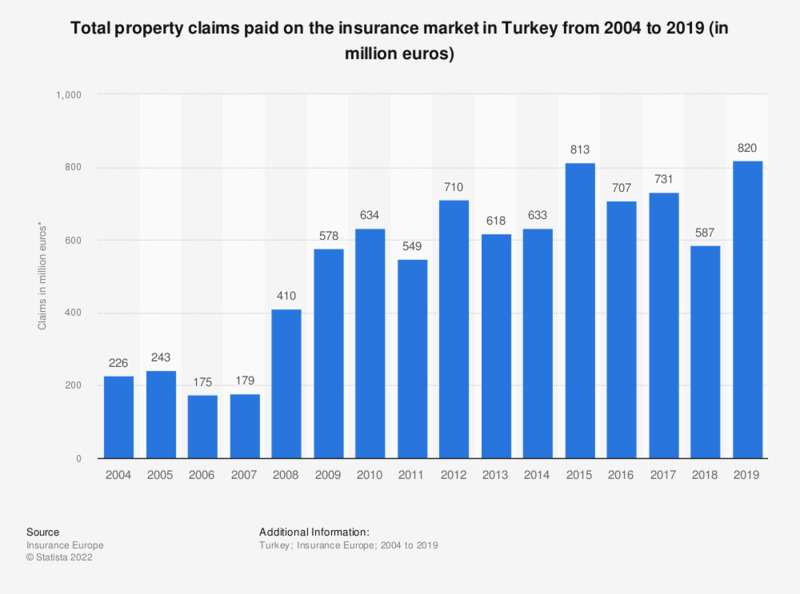 The statistic shows the total value of property claims paid on the insurance market in Turkey from 2004 to 2017. The value of property insurance claims grew steadily during the period with some fluctuation. In 2017, the total worth of property claims payments paid out equaled 731 million euros.